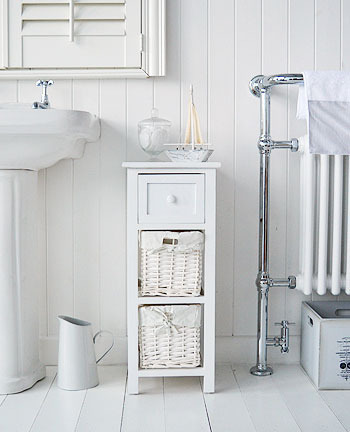 We offer an extensive range of simple, elegant white bathroom cabinets for your bathroom storage. 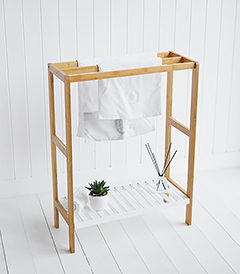 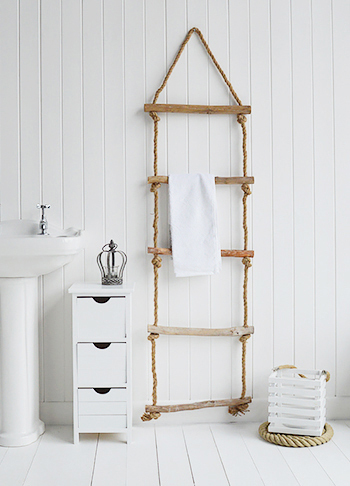 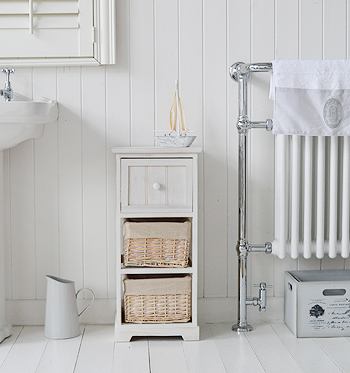 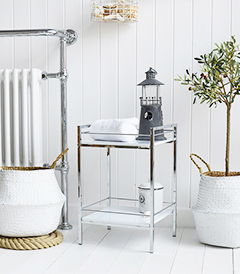 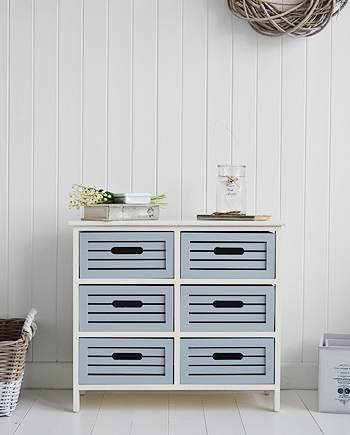 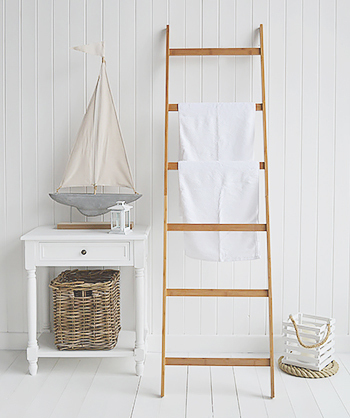 We believe a bathroom should be a well organised, clutter free stylish room. 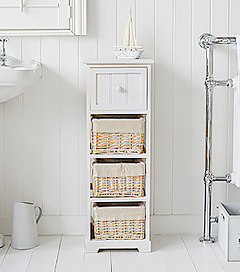 Our freestanding bathroom cabinets allow you to fill the spaces in the bathroom and come in many sizes, the slim storage cabinet comes in 3 styles to fit into small spaces, but have four good sized drawers. 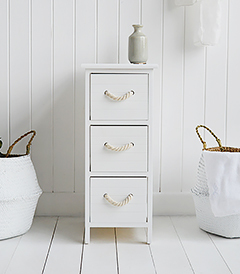 Our storage seats offer the dual functionality of storage of towels, linen and toiletries while offering a place to rest. 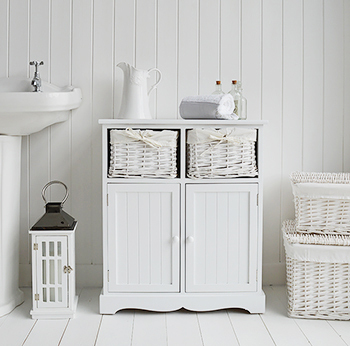 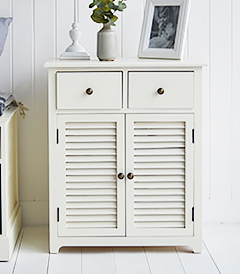 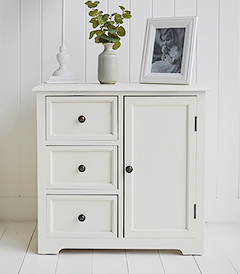 All our bathroom cabinets and furniture are designed to compliment each other, giving a maximum amount of essential storage white creating the calm serene bathroom you love. 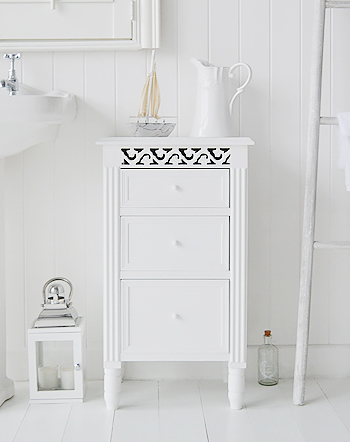 White furniture in your bathroom will create a feeling of space for smaller rooms.